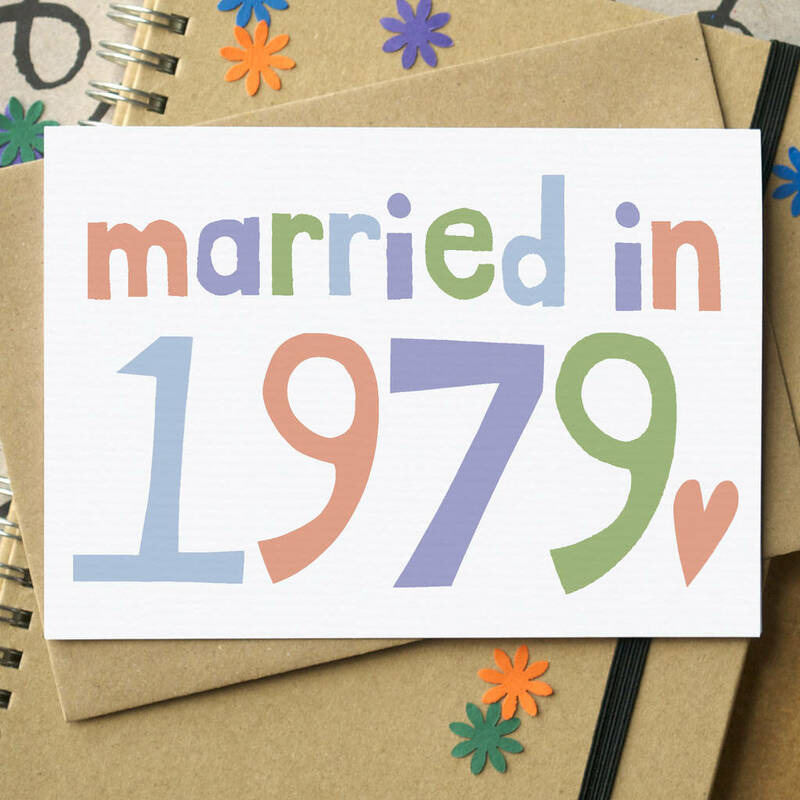 A lovely simple greetings card featuring a colourful design, with the year of the recipients' marriage on the front. This card is a great choice for anyone celebrating an anniversary in 2019. 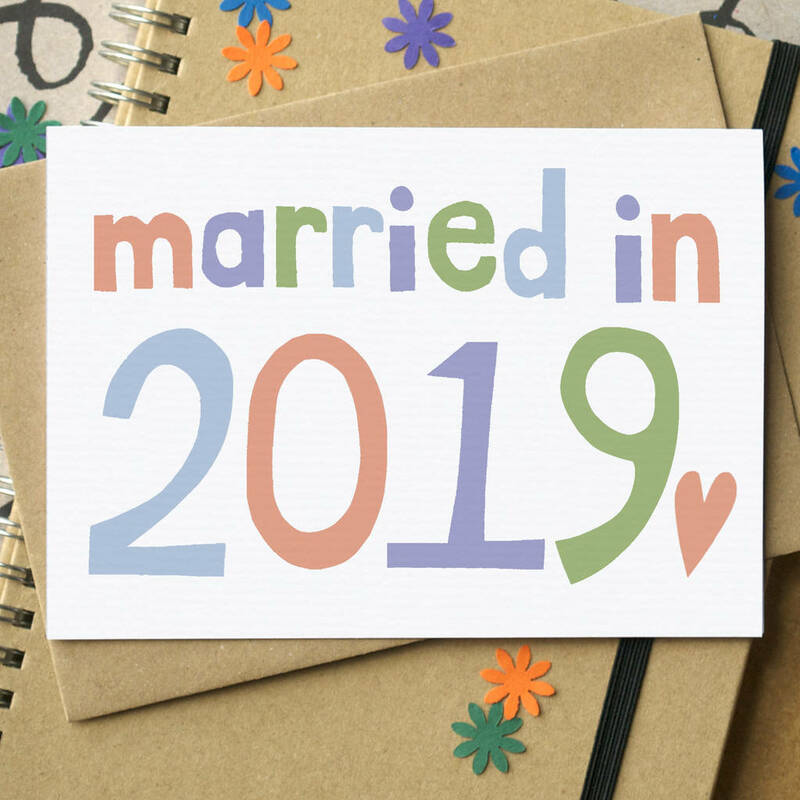 It features the phrase 'married in...' and then the year of their marriage, a personal touch which is sure to be appreciated by the recipients. The font was designed by myself and then digitally manipulated to create the final multicoloured design. 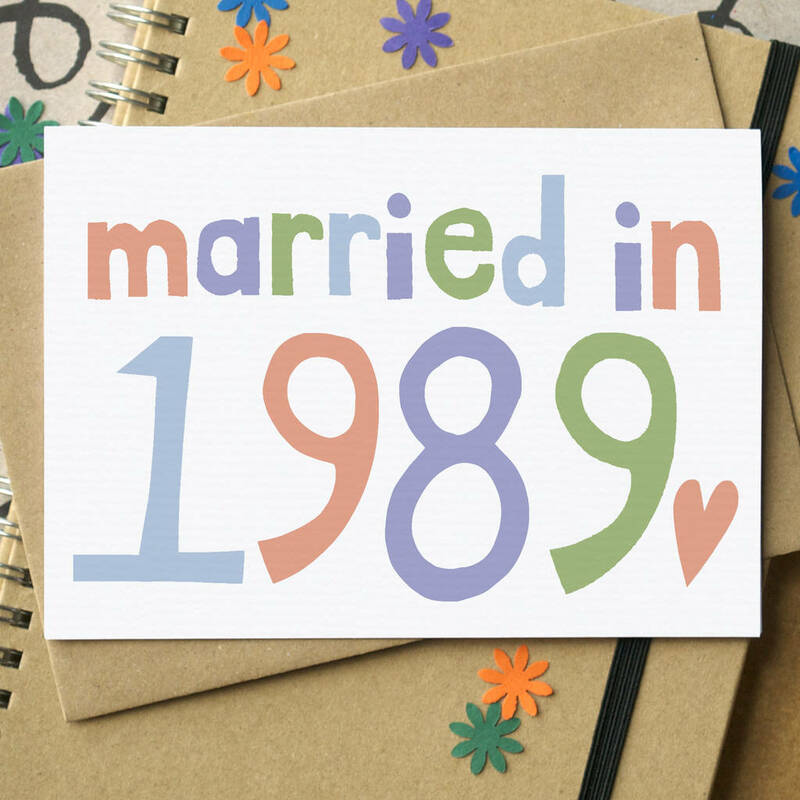 You can choose the card in various different designs - suitable for weddings anniversaries from January 2019 - 10th (2009), 20th (1999), 30th (1989), 40th (1979). 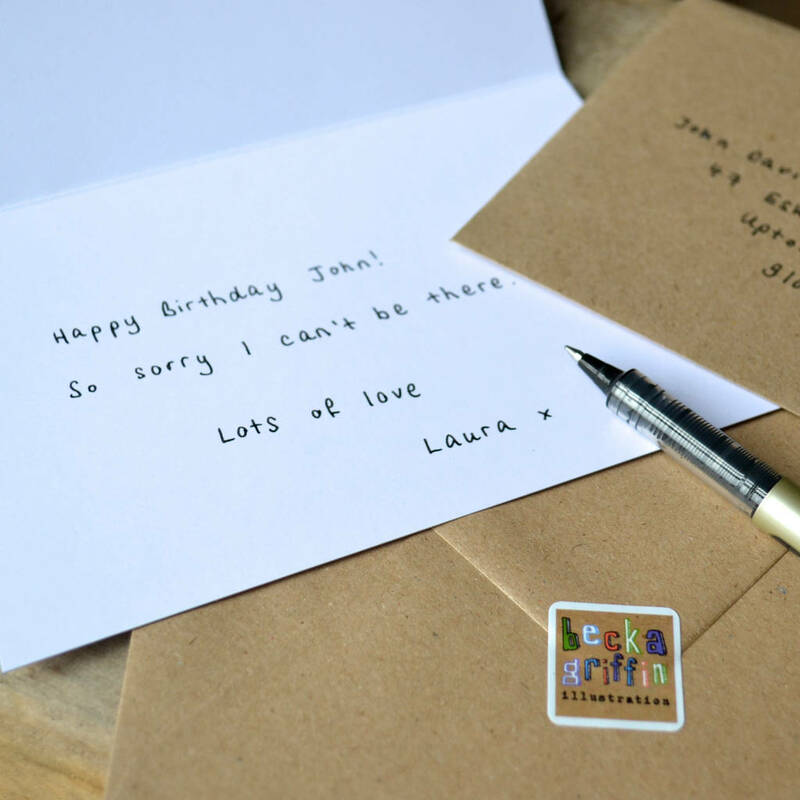 You can also choose a different year for an even more personalised version (for a small extra charge). You can also choose to send this card direct to the recipient, which is perfect if you are overseas, in a hurry or want to save on some postage. Cards chosen with this option will include the message exactly as specified in the text box provided, and sent in an envelope directly to the contact name and delivery address provided, in accordance with my usual delivery times. The card is printed on a lovely textured white card stock and packaged in cellophane. The matt brown envelope is recycled.